Captain Charlie Plumb has lived what he believes to be the American Dream. As a farm kid from Kansas, he fantasized about airplanes, although he felt certain he would never have the opportunity to pilot one. It would be the United States Navy who afforded Plumb the opportunity to live out that dream. After graduating from the Naval Academy, Plumb completed Navy Flight Training and reported to Miramar Naval Air Station in San Diego where he flew the first adversarial flights in the development of what would be called The Navy Fighter Weapons School, currently known as “TOP GUN.” The next year, Plumb’s squadron the Aardvarks launched on the Aircraft Carrier USS Kitty Hawk with Fighter Squadron 114 to fly the Navy’s hottest airplane, the F-4 Phantom Jet. Code named “Plumber,” Charlie Plumb flew 74 successful combat missions over North Vietnam and made over 100 carrier landings. 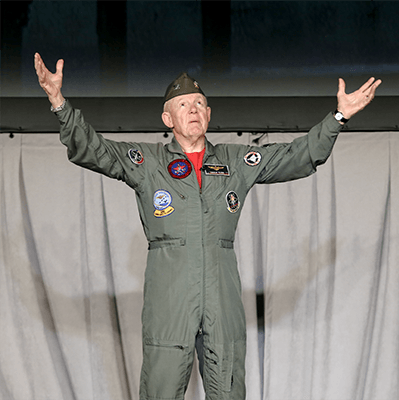 On his 75th mission, just five days before the end of his tour, Plumb was shot down over Hanoi, taken prisoner, tortured, and spent the next 2,103 days in an 8-by-8 foot cell as a Prisoner Of War. During his nearly six years of captivity, Plumb distinguished himself as a pro in underground communications. 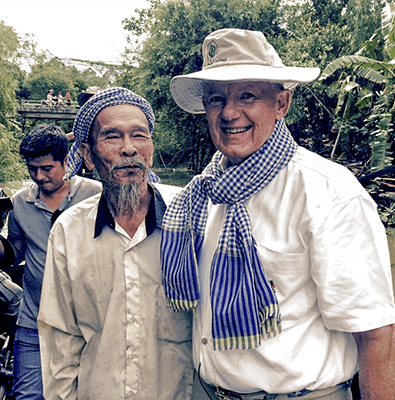 He was a great inspiration to all the other POWs and served as chaplain for two years. Following his repatriation, Plumb continued his Navy flying career in Reserve Squadrons where he flew A-4 Sky Hawks, A-7 Corsairs and FA-18 Hornets. His last two commands as a Naval Reservist were on the Aircraft Carrier Corral Sea and at a Fighter Air Wing in California. He retired from the United States Navy after 28 years of service. Since his return home, Plumb has captivated more than 5,000 audiences in almost every industry around the world with stories that parallel his POW experience with the challenges of everyday life. To this day, Captain Plumb continues to fly left seat at every opportunity. 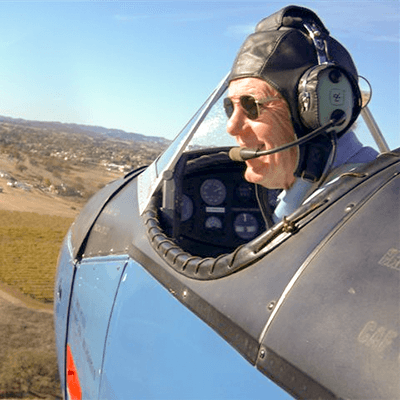 The most treasured plane he owns and flies is a WWII PT-19 Open-Cockpit antique which is currently on loan to the Commemorative Airforce Museum in Camarillo, CA. He also owns a Rutan-designed experimental single-engine Long-Eze. 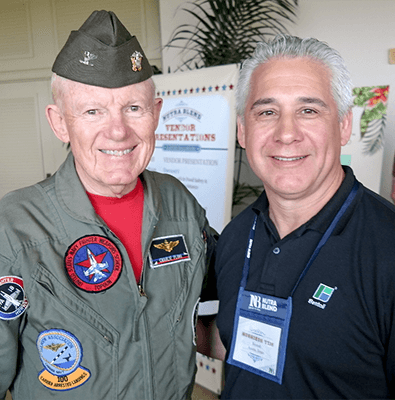 The National Speakers Association (NSA), the leading organization for professional speakers, inducted Captain J. Charles (Charlie) Plumb into the Council of Peers Award for Excellence (CPAE) Speaker Hall of Fame®. Established in 1977, the CPAE is a lifetime achievement award for speaking excellence and professionalism given to speakers who have been evaluated by their peers and judged to have mastered seven categories: material, style, experience, delivery, image, professionalism and communication. Your experiences and your ability to overcome the harshest of conditions touched me in a profound way. Not only was I touched professionally, but I have always been a “tough love” kind of manager. Your presentation made me realize that you are so right about my staff – “they don’t care how much I know until they know how much I care!” Thank you for your service to our country, and thank you for helping me dig deep into myself. You are so inspirational, and your message will not soon be forgotten. Thank you again for what you have done for our country, and for the inspiration you give to others. You are a remarkable man. I cannot begin to tell you how your story has touched my heart and changed my life – professionally and personally. Your message will live in the hearts and minds of all who hear you – from that moment on.